What happens when your belt breaks? Well, essentially your trousers fall down or your belt sander stops going round. Both would be frustrating and prevent any more progress for the day. I kept my trousers on and had to come in from the workshop to order a couple of new drive belts. 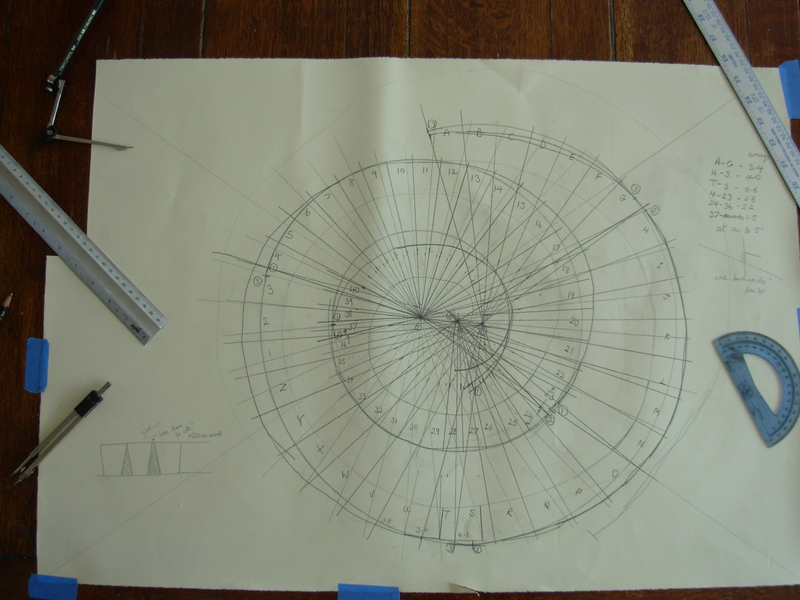 It did give me the chance to prepare some drawings for sculpture number 4. This morning I took most of the old varnish off the capping rail I had acquired with a hot air gun. Worked really well. This is the underside which I had started sanding when disaster happened. This lovely piece of wood is going to be cut into about 60 pieces and then glued back together again in a coiled frustum of a cone. 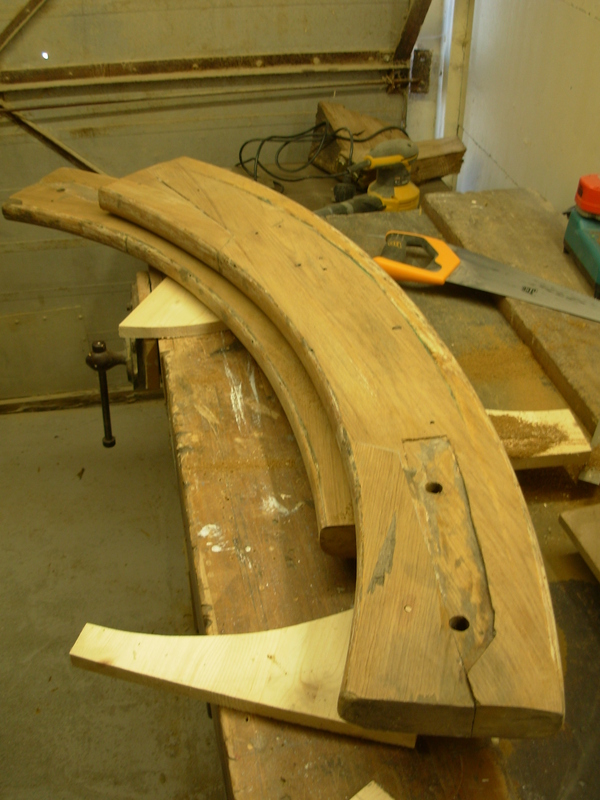 This is one of two sculptures that I am making from old pieces of a classic sailing boat. As I was working I began imagining the boat being built by a shipwright. I could even see some old saw cuts on the hidden underside of the rail. On the top of the rail are lots of strange shapes which have no varnish on where the bronze cleats will have been bolted to the boat. 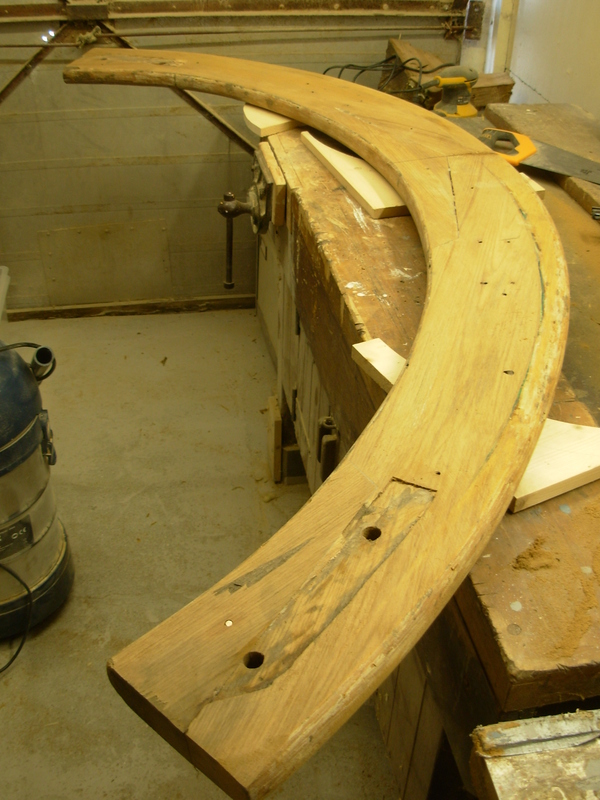 In the centre is a circular patch which will have held the bronze holder for the ensign. I imagined the crew who raced the boat and sat on this very capping rail as they were sea sprayed as they hauled in the mainsheet during a closely fought race. My sculpture will enable this piece of rigid wood to curl into the kind of spiral that a coiled piece of rope might be left in, on the deck of a boat after a day’s sail. This entry was posted in sculpture project on September 6, 2015 by robjohnsey. Glad u kept ur trousers on – not a good site !! !